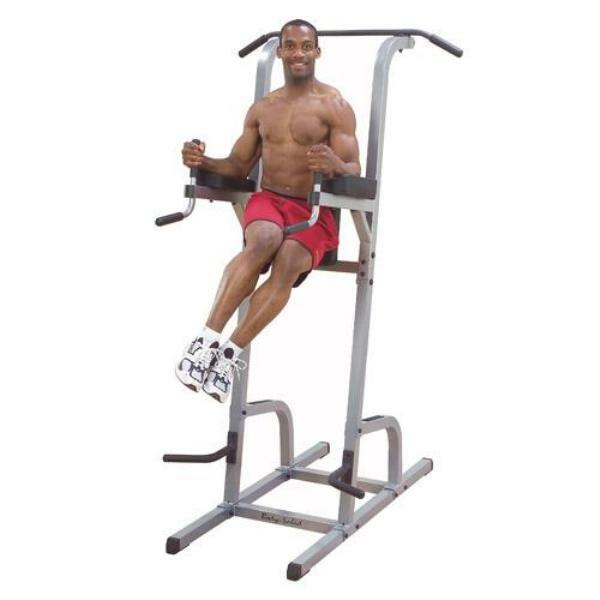 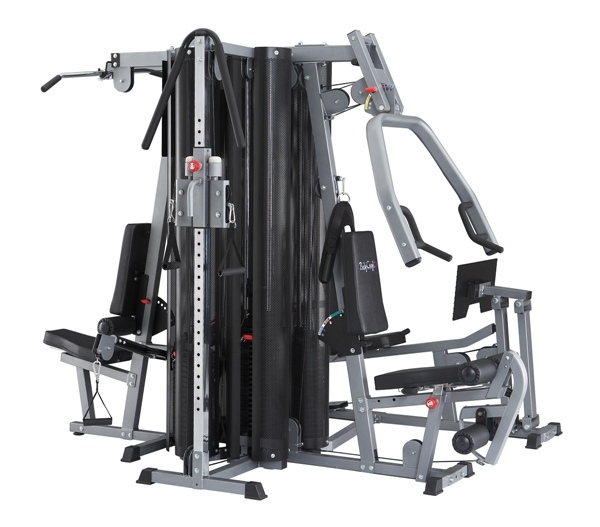 Dual weight stack design provides unique iso-lateral exercises, Double racking system accommodates smith bar and free weight bar simultaneously, Adjustable high/low pulley system offers a wide variety of functional and sport specific exercises, Pull-up bar is adjustable in height to accommodate low ceiling clearance. 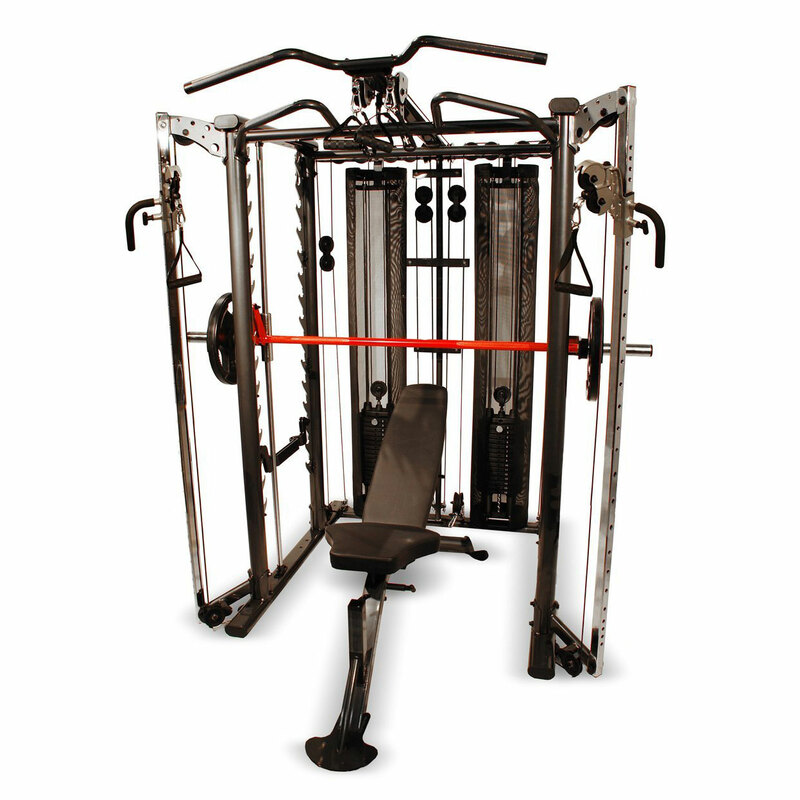 Fully Loaded system includes FID bench as well as preacher curl and leg developer ttachments. 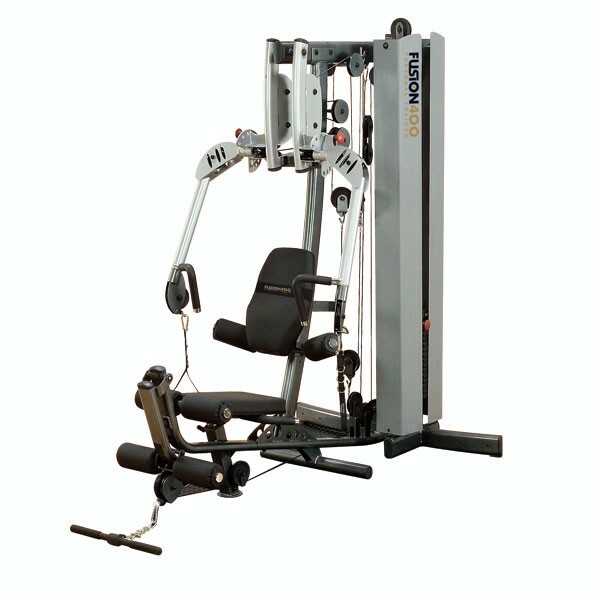 Options Available: 200lb weight stack upgrade and Abdominal Bar.